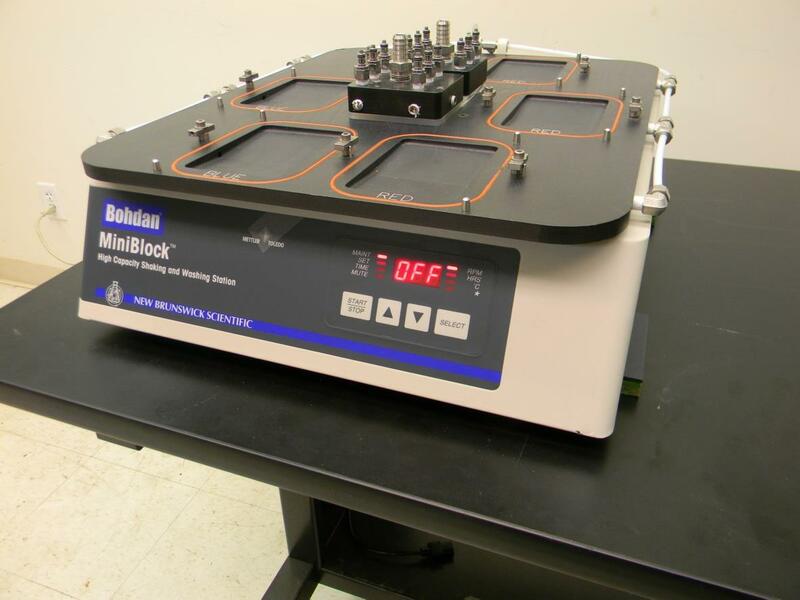 New Brunswick Bohdan Miniblock 2180 1805T Shaker with Six Position Platform . New Life Scientific, Inc. This shaker comes with a platform as pictured. We tested it and can confirm that it is in excellent cosmetic and functional condition. It has a maximum of 800 RPM. Please refer to the pictures or contact us for more information. What is displayed in the pictures is what you will receive unless otherwise specified. Please contact us if you have any questions regarding this item. In addition, we are willing to perform whatever tests or examinations you may request in order to better determine the condition of the unit. Simply contact us with detailed instructions.